A few weeks ago I went to a really cool LIC backyard party, and I was asked by a few ladies I met, what is my favourite restaurant in town. I guess I hadn’t thought about it, but the first place that comes to mind: Court Square Diner. Unsurprisingly, I was met with raised eyebrows… shock? disapproval? pity? All of the above I guess. I don’t really know what to say about this, except this: Court Square Diner has seen the best and worst of me. 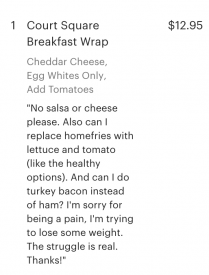 They are sympathetic when I order my high-maintenance, super healthy breakfast. And they are unjudgemental on the days where I end up starving, drunk and undisciplined, because I decided to ‘skip dinner and have a whole bottle of red wine instead’. 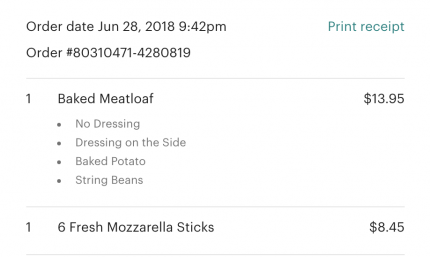 Truth time: I’ve ordered meatloaf twice this week. It really is something. The mozzerella sticks are… phenomenal. While putting this out there really makes me feel better, I sincerely hope no one is reading this.